When Fooley the Brave, a Minnipin explorer, returned home from traveling to the Land Beyond the Mountain, he brought with him many artifacts and journal entries to help his people understand what he had learned on his journey. Four hundred years later, the Minnipin settlement of the Land Between the Mountains is ruled by Fooley's descendants, the Periods, whose names are abbreviations such as Wm., Co., Ltd., and Etc., all taken from Fooley's journal. Despite the obvious mislabeling of some of Fooley's artifacts and an overall misunderstanding of his discoveries, these leaders insist upon conformity to their ways, which include everyone dressing the same and painting their doors the same color. They do not allow for the possibility that an enemy may be planning to destroy them, and they immediately shun the few non-comformist Minnipins in their society who warn of an impending attack from the Mushroom People. It is therefore up to outsiders like Muggles, Gummy, Curley Green, and Walter the Earl to provide solid evidence that their friends' lives are in danger, or risk losing them all in a battle for which they are not prepared. This book, written like a history text interspersed with the maxims and poems of Minnipin heroes, is a very gentle fantasy novel for young readers. For lack of a better comparison, it really reminded me a lot of some of the fantasy cartoons I watched as a kid - The Gummi Bears, The Adventures of Teddy Ruxpin, and The Smurfs, for example - which are set in vaguely medieval-inspired fantasy kingdoms with no particularly complicated mythology behind them. The characters are easy to differentiate from one another, owing to the specific traits and talents each one has, and though they are not children, they are child-like, both in their willingness to believe new things, and their feelings of powerlessness in the face of unmoving authority. There are definite dangers, including battle scenes in the later chapters of the book, but the story always feels comfortably contained and cozy even at the height of the excitement. The book has some problems, which I think are actually more pronounced because of the Newbery Honor sticker on the cover. The writing just never felt completely tightened up to me, almost as though the author didn't quite reach the heart of what she wanted the story to convey. The setting is also vague. Most of the other fantasy books I've read so far have done some level of world-building from the ground up. This story felt more like it had been written as part of a roleplaying game where the author chose a few elements out of a hat and wrote a fantasy story based on them. I think this kind of simplicity would have appealed to me as a kid, and might have actually gotten me to read this book, but after having read things like The Hobbit and Harry Potter, it felt weird not to be given pages and pages of detailed exposition about the setting. What is included is fine, but all the preliminary details felt like a means to an end instead of an integral part of the story in their own right. I am not usually big on setting, which might be another reason fantasy doesn't tend to be my favorite, but kids who do focus a lot on the details of fictitious societies might not find enough meat here. I enjoyed The Gammage Cup and will look for the sequel at some point in the future. For kids who want to try fantasy but don't like scary stories, or who have read The Hobbit but aren't yet prepared for Lord of the Rings, this is the ideal book. It would also make a nice read-aloud provided you can pronounce the abbreviation names and don't mind occasionally having to show an illustration to your listeners so they don't miss anything. What have we been reading lately? Tons of board books! Most are physical review copies from Little Bee Books, but there are also a few digital ARCs I downloaded from NetGalley. Read on to find out which one the girls have enjoyed most. These four small square board books are ideal for Little Bo Peep, who loves handling books. She pushes them across the floor, bangs on their covers, and coos and giggles at the illustrations. Like most word books for this age, they are also great for introducing basic vocabulary, and encouraging me to say words like balloon, rocket, and hen that might not otherwise come up in daily conversation. Each illustration has some sections that are shiny and metallic, which catch the light and grab the baby's attention, and the pictures are generally brightly colored and clearly outlined. What I had not counted on, though, was how wonderful these same books would be for teaching Miss Muffet her letters. The words on each page of each book are printed in lower case letters in a perfect font for young children who are just beginning to recognize individual letters. I am able to read these books successfully with both girls simultaneously. While Bo Peep gets exposed to new words and engaging images, Miss Muffet also has the chance to practice her new skills. 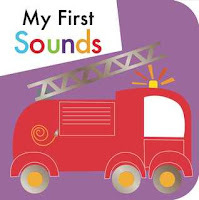 Of the four, my personal favorite is My First Sounds because it has a unique onomatopoetic expression for the sound of a fire engine ("nee naw"), but My First Opposites is the one Miss Muffet has taken to her bedroom to have on hand at rest time. The four books in this set are larger than the My First books above, but similar in scope and content. The illustrations are a bit more generically cartoonish, and there are two or three words per page, rather than just one, but they focus on the same subject matter. Both Farm Animals and Zoo Animals are predictably similar to other books of their type, and therefore hard to connect with in a special way. There are some pages in the Zoo Animals book that lend themselves well to encouraging movement, which is great for getting Miss Muffet involved, but since not all of the animals move, it's hard to apply that technique throughout the book. The titles about vehicles were a bigger necessity in our house, as our only real books on vehicles are Stanley and Mr. Gumpy titles. I like the diversity of vehicles included in Cars and Trucks: a taxi, a race car, a delivery van, etc. and the fact that suggested sounds are included as part of the illustrations. 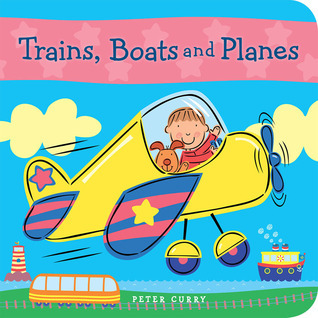 Trains, Boats, and Planes also does a nice job of introducing different types of each mode of transportation (steam train and express train, sailboat and shop, etc.) We have not read these aloud as much as the My First titles, but because they are oversized, they would work well in a story time, and they also keep Bo Peep busy on the floor as she figures out how to maneuver such a large unwieldy object! Visually, the three Look! books we received are very appealing. Though the illustrations are not photographs, they have enough realism to make the books useful as field guides, and yet also have a sense of personality that would be absent from purely scientific drawings. Moments like a drop of water landing on a sparrow's back, or a baby seahorse wrapping his tale around that of its father also give kids something of a story to appreciate in the pictures. Unfortunately, Stephanie Calmenson's text is very uneven. Some of her four-line rhymes work really well, and others are forced, as she crams too many syllables into a single line, or uses words only because they fit the rhythm or rhyme and not because they are the best words. Miss Muffet is really drawn to these books, but I'm hesitant to read her badly rhymed text. I may need to read through the books to learn the names of the flowers, fish, and birds and then impart the information to her through dialogue over the illustrations rather than reading the author's original words. I like having images on hand to show her what certain living things look like, I just wish the text was more carefully edited. 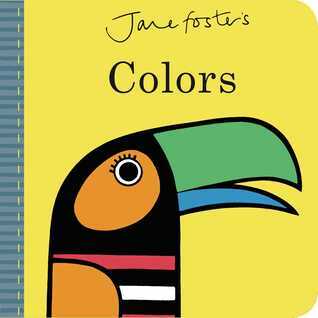 These books are the latest concept board books from graphic designer Jane Foster. Miss Muffet likes them both a lot, and she is constantly pointing out their similarities to Foster's ABC and 123 titles which we received for review several months ago and still read regularly. Of the two, I prefer the colors book, as it teaches the traditional colors of the rainbow plus some fun additions like turquoise. Though the black and white book is good for a brand-new baby who can't see that well yet, it is not just as interesting to devote an entire book to just two colors. Regardless, though, both books are visually striking and would be great to have on display in a library's board book area. 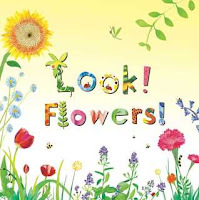 These board books are written by the clever children's poet Douglas Florian and illustrated with bright warm colors by Barbara Bakos. 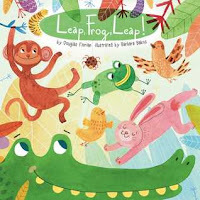 Once I Was a Pollywog shows the relationships between baby animals and the adults they will grow to become, while Leap, Frog, Leap! encourages kids to move like different animals. Though books on both topics are pretty common, these stood out for me because of Florian's impeccable use of rhyme, and the interesting style of the illustrations. I have especially grown to like Leap, Frog, Leap! after its great success at a recent story time. Even kids who are theoretically too old for board books really got into it. Of all the books Little Bee sent this Spring, this pair was my definite favorite. These two lift-the-flap books are the size of an average picture book, but printed on sturdy paper just like board books. Their target audience skews a bit older - probably up to a third grade level or so - but Miss Muffet is fascinated by them and spends a lot of time opening and closing the flaps. 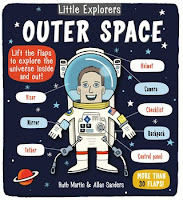 I was hoping to use them to teach her some more in-depth information about the animal kingdom, and to introduce the idea of outer space, but I actually think they will be better used by kids who already have some background knowledge, as there is so much to take in on every page. The cartoonish illustrations are reminiscent of graphic novels, which would have made them a very popular choice with some early elementary boys I used to know at the library. 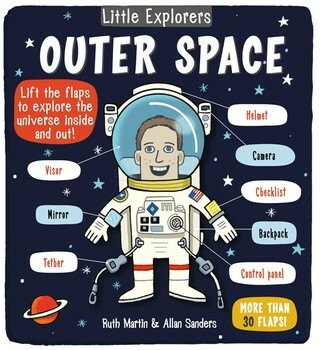 I would caution against buying these for libraries, as lift-the-flap books have a short shelf life, but for curious kids who wish to amass as much information as possible on a single subject, these are the ideal titles. I downloaded this book from NetGalley because I like the song on which it is based, and I liked that it included the song in both English and Spanish. I read it to Miss Muffet once on my computer screen, and she seemed to enjoy it well enough. Personally, I felt that the artwork was charming and engaging, but that the pages as a cohesive unit did not really contribute to a sense of story. Each picture correlates perfectly to the line from the song which it is intended to illustrate, but the artwork doesn't bring anything extra to the book. It felt a lot like I was looking at a text version of a You Tube video intended to be shared during story time or circle time. I would use this book in story time because I think it would be well-received, but it would not be something I would re-read again and again at home. 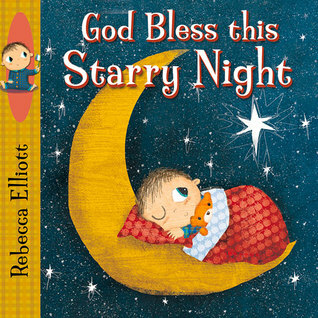 Owl Diaries illustrator Rebecca Elliott is the creator of these religiously themed board books. I loved these instantly, and when I shared them with Miss Muffet on the computer, she requested repeat readings of every single one. God Loves Little Me is a celebration of the animals God has created and how they move their bodies. Each page names a specific animal that God loves and then provides a short phrase to describe a signature motion performed by that animal. This makes the book just right for toddlers who have a strong need to be in constant motion. 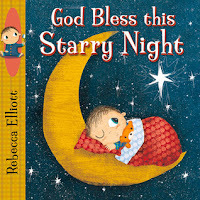 God Bless This Starry Night is a simple bedtime prayer in which the child reader asks God to bless everything from his pillow to his toothbrush before settling down for the night. It would be a perfect baptism gift. The other two books - Noah's Noisy Animals and Not So Silent Night - simplify the Bible stories of Noah's Ark and the Nativity so they can be more easily understood by a very young child. 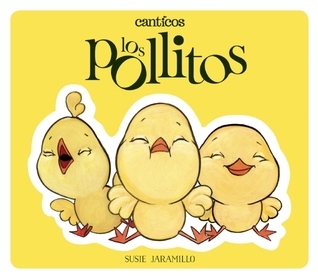 Both of these books are also interactive, as they invite the child to make sounds along with their characters. These were a surprising treat to discover on NetGalley. I hope Elliott will do many more stories in this way. I'd especially love one for the story of Creation. In this second of three books based on a fictitious version of author Hilda van Stockum and her family, the Mitchells relocate to Montreal for Father's new job. To Mother's chagrin, the only house available to rent for the summer is a remote and rustic building near a lake without any modern amenities. 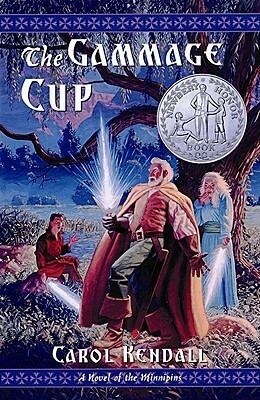 Despite her initial reservations, however, she, Grannie, and the children have a wonderful time exploring nature and befriending the locals, Mr. Magee (whom the children call Mr. Magic), Mr. Purcell, a young man who uses a wheelchair after being wounded in war, and Pierre, an artist who lives nearby and delivers the family's groceries. Like The Open Gate and Miracles on Maple Hill, this is a great family story about kids exploring a new rural environment. The Mitchell children greet their new surroundings with gusto, and their enthusiasm makes for some nerve-wracking and suspenseful scenarios involving injuries and worried parents. French Canadian culture and language permeate the story in a natural and engaging way, and for kids who have never really had to "rough it" the conditions the family must endure are novel and appealing. I read through this book every bit as quickly as the first one, and loved it for its wholesome portrayal of family and its comforting resolution of all major problems and concerns. It's a good book to curl up with during a summer thunderstorm, and would also make a great read-aloud for those whose French is good enough to pull off a convincing accent. The Mitchells (also called The Mitchells: Five for Victory) is the first of three family stories about fictionalized versions of author Hilda Van Stockum, her husband, their children, and the children's grandmother. The story begins with Father going off to fight in World War II, and the family being left behind in their Washington, D.C. home with very specific instructions not to get a dog. The five Mitchell children - Joan, Patsy, Peter, Angela, and Timmy - would love a pet, but they are quickly consumed by other interests. Chief among these is their formation of the Victory Club, which meets in the backyard of a house on the street left uninhabited for so long that they call it the "white elephant." Friends Tilly and Dickie join them for club activities, and all kinds of antics ensue, including the acquisition of quite a few pets their father might not be pleased to meet when he returns home. The writing in this book is breezy and entertaining, making it easy to read in just one sitting. I devoured the story, falling instantly in love with each character, and enjoying their "free-range" lifestyle and typical family story problems. Though this is partly a book about banding together during a time of war, it is also just as much a story about kids being kids that could take place at any time in history. The fact that the characters are based on real-life counterparts makes everything about the book feel true in a way that entirely invented fiction does not. As the mother of an independent-minded two-year-old, I could especially relate to Mother's very true-to-life difficulties in dealing with Angela, the second youngest child with a habit of making a fuss. By the end of the first chapter, I already felt a strong kinship with Mother, which stuck with me throughout the book. 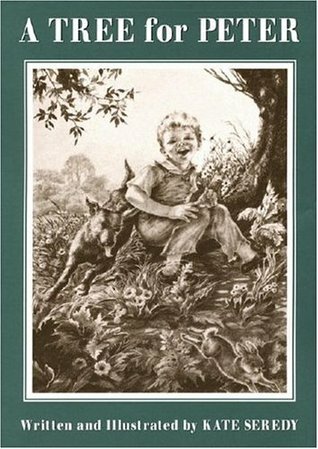 As I read The Mitchells, I kept thinking back to a childhood favorite, Ten Kids No Pets by Ann M. Martin. The books are not really that similar except for the fact that they both involve parents who specifically disallow pets, but knowing how much I loved Ten Kids makes me certain that I would have loved The Mitchells just as much had I discovered it in childhood. I wish authors still wrote family stories like this one, which avoids discussions of mature themes like dating and kissing and instead allow kids to be kids. So many middle grade books are about trying to reach adulthood as soon as possible, instead of reveling in childhood, and that is just too bad. 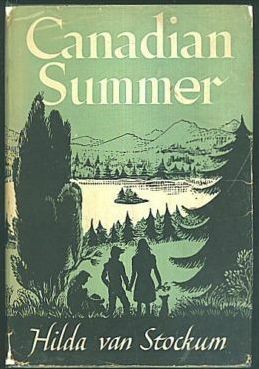 I am pleased, therefore, that I still have two Mitchells titles to read: Canadian Summer and Friendly Gables. Because I focus almost exclusively on realistic fiction written for children, there aren't many fictional worlds in the books I read that are all that different from the real world that I live in. But there is one world which, no matter the character, no matter the time and geographical location, is difficult to survive. That is the world of middle school. I have read what probably amounts to hundreds of middle grade novels set in middle school, and many of them have similar themes and messages. Today, I'd like to share a few things young readers can learn from these books about surviving middle school. Lying is a big problem for many fictional middle schoolers. Often kids lie to impress a potential boyfriend/girlfriend, like Kevin Spencer who lies to get out of class in order to get closer to his crush, Tina, or Cici Reno, who pretends to be someone else on Twitter in order to get the attention of the boy she likes. Other characters lie to manipulate situations, like Avery from Fake Me a Match by Lauren Barnholdt, who tries to win over her stepsister by rigging a matchmaking service to pair her with her crush, or Sadie from Peanut, who invents a peanut allergy in order to make herself seem more interesting. There are even characters who lie to cover up what they've done, such as Thad in How to Break a Heart. In all of these situations, though, the lies snowball to the point where they take over the characters' lives and eventually, the awful truth comes out in an awkward and difficult confrontation. Make friends who share your interests. I have to admit that the ease with which girls find like-minded friends in fictional middle schools is not always believable. I really didn't have friends during middle school at all, so this idea that you could walk into the cafeteria (or detention, or an after school club meeting) and immediately find your tribe sometimes makes me roll my eyes. But it's definitely worked in series like How to Survive Middle School, Annabelle Unleashed, The Odd Squad, The Snob Squad, and Nerd Girls. Personally, though, I think Jamie's friendship with Isabella in the Dear Dumb Diary books is much closer to the truth for most middle schoolers. Don't bring your diary to school. Harriet from Harriet the Spy learned the hard way what happens when you write down blunt observations of your classmates and those words fall into the wrong hands. Still, that hasn't stopped other fictional characters from keeping diaries and bringing them to school. In both Mackenzie Blue and This is All Your Fault, Cassie Parker, diaries are stolen and shared with the very people from whom they should have been kept most secret. If a middle schooler is going to share her innermost thoughts, it is best to do so at home, and then hide the evidence! Many, many protagonists in novels about middle school worry about their popularity, but whether they lose it, experience it temporarily, or can't even achieve it in the first place, they eventually realize that being well-liked by many people is not as satisfying as have one or two close friends. This common theme runs through many popular series: Dork Diaries, Popularity Papers, The Classroom and The Winnie Years, as well as in titles like Always, Abigail, Mission (Un)popular, and Pack of Dorks. Though a lot of my book-related work does happen here on the blog, I also do plenty of reading, writing, and celebrating books in other ways. 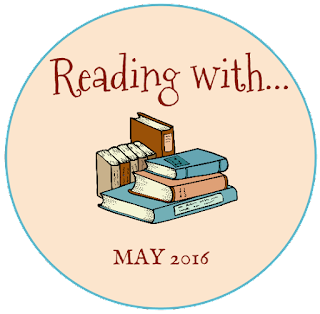 Today I want to share ten bookish things I do besides writing this blog. I have been rating and occasionally reviewing books on Goodreads since 2008, and as time has gone on, I have become more and more precise about how these books are categorized. I have dozens and dozens of shelves, indicating what year I read each book, when it was published, whether I posted a review on my blog, which of my daughters has heard it, and whether it reflects a particular theme, reading level, genre, or format. I am also a Goodreads Librarian, so I spend some of my time correcting errors in the details about books, especially series. I am also very meticulous about my book-related Pinterest boards. I categorize all my reviews according to their intended audience, and I also have separate boards for special features like Old School Sunday and Fumbling Through Fantasy. Other boards are devoted to children's book lists from other blogs, and themed collections of picture books and related activities. Since I started this blog, I have often been involved with the Cybils: Children's and Young Adult Bloggers Literary Awards. I was a judge for the category of easy readers and early chapter books in 2011 and 2012, and then after taking a break to have my older daughter, I returned as chair of the category in 2014 and 2015. My favorite part is having discussions with other readers about why a book works or does not work. I wish I had more opportunities to talk about books like that year-round! I am a member of two great Facebook groups for talking about kids' books: a children's book bloggers support group (which is private), and Read Aloud Resources. Many of the members of Read Aloud Resources are homeschoolers, and also have Christian/conservative views about what their kids read, which really meshes well with my parenting style. I enjoy trading recommendations and learning more about how non-library people view the library. I also maintain a Facebook page connected with this blog, but most of what I post there is not "beyond the blog" but directly from it. As a family, we often go on weekend adventures to used bookstores and book sales. We have a list of books we are looking to buy, but we also enjoy browsing and finding unexpected treasures. My favorite book sale find so far has been The Secret Language, the only novel of HarperCollins editor, Ursula Nordstrom, who worked with so many famous authors, including Maurice Sendak and Charlotte Zolotow. Though I have a monthly feature here talking about reading to my daughters, Little Miss Muffet and Little Bo Peep, I read to them more than what is mentioned here. Both my kids heard novels as newborns, and they continue to enjoy a wide variety of material. I sometimes even read blog posts aloud as I'm proofreading them! Finally, the most bookish thing I did over the past year was write a book! Story Time Success: A Practical Guide for Librarians comes out in July. It is a step-by-step guide for learning how to perform story times, and also a refresher for veteran performers. When I was a kid, on my bedroom bookshelf I had a copy of The Random House Book of Humor for Children. I basically only ever looked at four selections from the book: excerpts from Tales of a Fourth Grade Nothing, Mrs. Piggle Wiggle's Magic, and Beezus and Ramona and "How to Hang Up the Telephone" by Delia Ephron. I distinctly remember skipping over any story that seemed scary or in some other way troubling. The Phantom Tollbooth, for reasons I now can't explain, was included in this category. As an adult, and especially as a children's librarian, people tell me all the time how much they love this book, and I nod along enthusiastically. The truth is, however, that until this month, I had never read it. And it turns out that all this time I have definitely been missing out! Milo is in a slump where everything in his life seems boring and drab. When he discovers a mysterious tollbooth in his room, he drives through it, figuring he has nothing better to do. This simple action sets him on a path through the lands of Expectations and the Doldrums, into Dictionopolis, where all the world's words originate. Here Milo learns of the disappearance of Rhyme and Reason, the daughters of the King of Wisdom, and decides to try and rescue them. This mission leads Milo and his companions (Tock, a watch-dog who is part-clock and a disagreeable insect called the Humbug) to other strange places, including Digitopolis, a land entirely ruled by numbers, and the Island of Conclusions, on which one can only arrive by jumping. I enjoyed the sense of humor of this book very much. 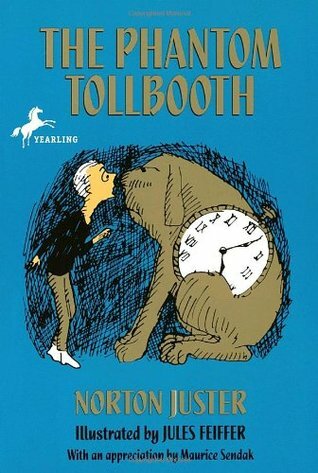 I am a big fan of playing with the English language and Norton Juster uses a lot of fun puns and other clever turns of phrase that require a little bit of sophistication to understand. Kids love to feel smart, and this book gives them many opportunities to experience that feeling. So much of the story is clearly an allegorical commentary on the human condition and the problems of society, which kids may or may not realize, but which amused me as an adult. Because of these deeper threads running through the book, it is very clear to me why so many grown-ups sing its praises and eagerly read it with their own children. I feel like there was a probably a critical window of time during my childhood (age 9 or 10, possibly) when I would have read this book and fallen in love with it. I'm a little bit sad to have missed that window, because I just don't feel that strongly for the book, even though I liked it a lot from a critical standpoint. I hope my own kids will have a stronger connection with it, so that they are the ones gushing to librarians about how great it is when they have kids of their own. 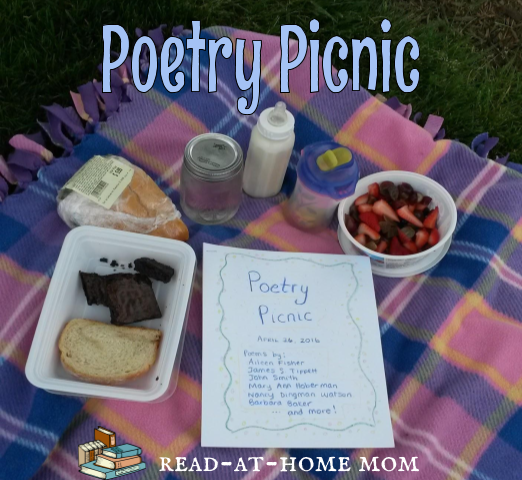 It took a while for me to get around to doing another poetry picnic, but we did finally pull one together for a day when it was warm enough and not too rainy to be outside. We baked brownies again as our special treat, and even the baby got to have her bottle outside on the blanket. I decided to hand-write the poems into a little booklet and decorate it, even though I have minimal artistic skills, with my own drawings. My husband pointed out that it looked like the work of a precocious third grader, but I still enjoyed doing it, and it didn't require me to have anything printed out. In any case, here are the poems which I copied into the book and their respective sources, with links to the full text of poems for which it is available online. Miss Muffet seemed to enjoy every poem and agreed each time I asked if she wanted to hear one a second time. Unfortunately, the landscapers were out mowing the lawn at the park, so there were distractions, and rain was also looming on the horizon, so I felt rushed to get through the booklet and get everyone's lunch finished so we wouldn't end up getting caught in the rain. The picnic ended abruptly with Miss Muffet taking off running with the poetry booklet and me having to chase her down. Despite the chaos that a toddler brings to a civilized poetry picnic, however, I enjoyed the experience of sharing these poems. I had never read "Milking Time", but found that it reminded me a lot of Robert Frost, and I was pleased to remember there is a poem about pizza, since that is Miss Muffet's favorite and she specifically asked for a pizza poem. I have also never really liked "Yellow Butter" before, but found that really figuring out how to read it aloud properly made all the difference. Miss Muffet got a kick out of "Umbrellas," too, because it talks about a tulip, a flower she has been very interested in this spring. I have held onto the booklet, too, so we can perhaps revisit the poems before we choose new ones for our next picnic. Speaking of the next one, it looks like we're going to have a very rainy couple of weeks coming up, but I hope to get a May poetry picnic going soon - maybe even two! As a child, Thomas Crandall sees from the window of a train a shantytown, and standing in it, a young boy who smiles and waves at him. The image of the boy makes such an impact on Thomas that it inspires him, as an adult, to become a builder and work to change the living conditions of those who live in such abject poverty. When he has the opportunity to meet Peter Marsh, a builder known for transforming the shantytown into a place called Peter's Landing, Thomas asks him about the shantytown, and the boy. A Tree for Peter is the story Peter Marsh tells him, of how a young boy with a physical disability (Peter) and a mysterious vagrant (King Peter) take the first steps toward transforming a depressed and fearful community into a place of joy and love. This is a book which is intentionally sentimental and inspirational, so had it not been written by Kate Seredy, and had my husband not asked me to read it aloud to him, I might very well have skipped it. I usually feel that books like this try to manipulate the reader into having particular emotional reactions, rather than allowing the reader to have natural responses, and it irritates me when their happy endings feel too neatly resolved. Unlike contemporary examples of this type of book, however, A Tree for Peter is so well-written that the author does not have to manipulate me into the feelings she would like me to experience. She takes me there by her words - and pictures - alone. The descriptions of Peter's lonely days in the shantytown alone while his mother works are very vivid, as are the moments he spends with King Peter, the vagrant who shares his name. Peter's problems are very real - at first, they seem nearly insurmountable - and Seredy doesn't take an easy way out in resolving them. Though King Peter is something of a magical figure in Peter's life, his overall influence on the shantytown is only made possible through Peter's hard work and faith in him, and the willingness of the community to set aside their fears and come together. The reader always has the sense that the story will end happily for everyone, but there are enough questions about how it will happen to keep him or her interested in continuing to read. The illustrations, too, are appealing, at least to my adult sensibilities. As a kid, I probably would have glossed over them, but as an adult, I appreciate the story each one tells, and how full of emotion the figures' faces are. These are works of art, not just decorations for the story, and they help elevate the book a bit more beyond the usual sentimentality of stories of this type. This slim novella can be read easily in one sitting, and because of its connections to Christmas, and its explicit religious references, it makes a nice read-aloud selection for Advent. It's also a great way to help kids develop empathy for those in difficult financial situations and living conditions, and to encourage them to think of ways they can be more like King Peter in their interactions with others.